> Is the BMW M2 Competition good enough go against the Alpine A110? 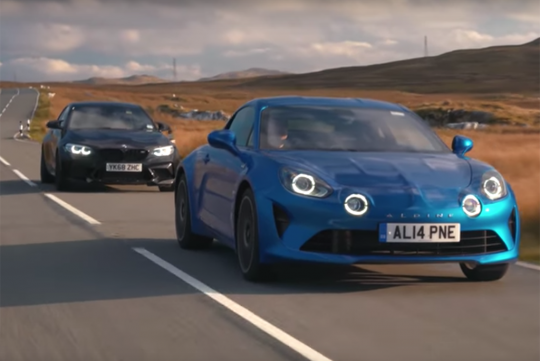 Is the BMW M2 Competition good enough go against the Alpine A110? The Alpine A110 has been getting raving reviews all round the world as a sports car. Can the BMW M2 with the revised set up of its Competition pack be better? Autocar has the answer for you in its latest video. With both of them costing similarly in Britain, they are clear rivals to the Porsche 718 Cayman, which then was the default sports coupe to go to all along. Now with both small coupes in the market, the answer isn't so clear. So which of these is the best alternative to the Porsche? Watch the video and find out!